The hotel restaurant's contemporary design and soft lighting create a relaxed and welcoming atmosphere. The service is professional and friendly. 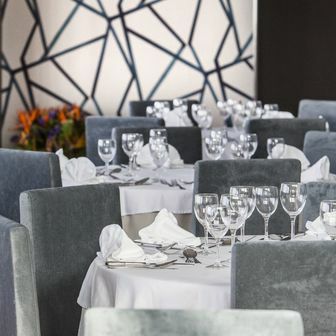 The restaurant offers a wide selection of international and local dishes, designed to appeal to all tastes and the sommelier will be only too pleased to suggest the perfect wine to accompany them. 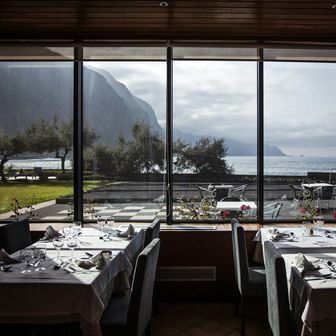 The large windows provide beautiful views over the majestic mountains and the ocean, a beautiful backdrop to your delicious meal. 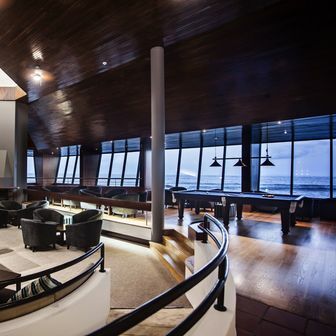 The Estalagem do Mar Bar provides a panoramic view to contemplate while you have a refreshing drink or a light or snack. In the winter it becomes even cosier, when a fire burns heartily in the fireplace. In the summer you’ll have the special pleasure of enjoying the outdoors on a sunlounger in the gardens surrounding the swimming pool with a cool, refreshing drink.